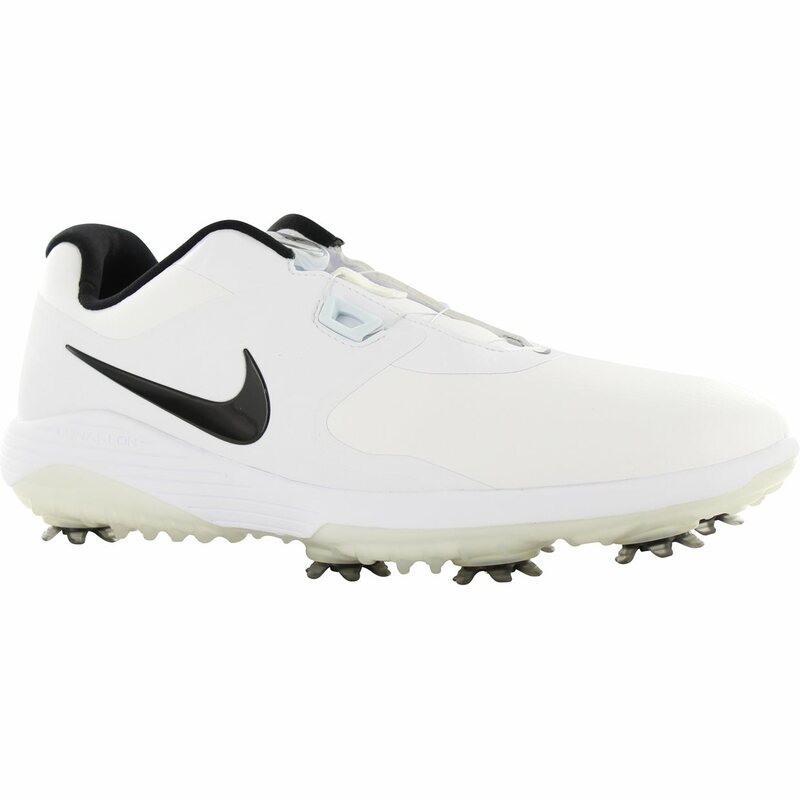 The Nike Vapor Pro Boa golf shoe provides comfort and support. 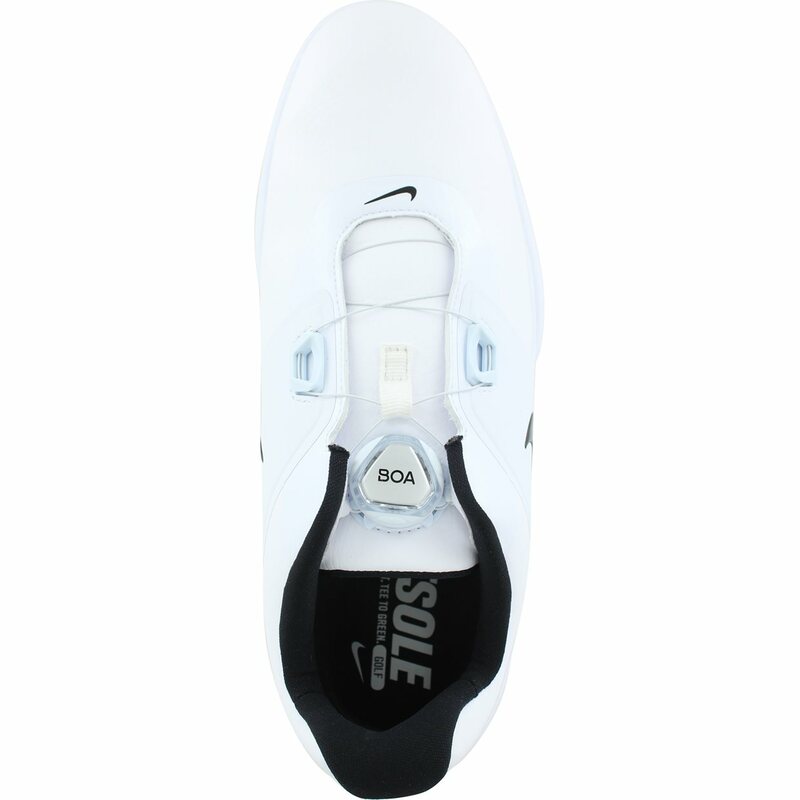 The shoe is constructed with a microfiber upper that is lightweight, durable and water resistant. The upper features a Boa closure system. The Boa dial allows you to adjust the closure with a twist. Once locked into place, Boa maintains a secure fit with no pressure points. Another upper area feature includes Flywire technology. Nylon fibers are placed on the upper to provide ultra-lightweight support by holding the midfoot in place during movement. The foot will also be supported with full-length Lunarlon inner cushioning that is soft and resilient. 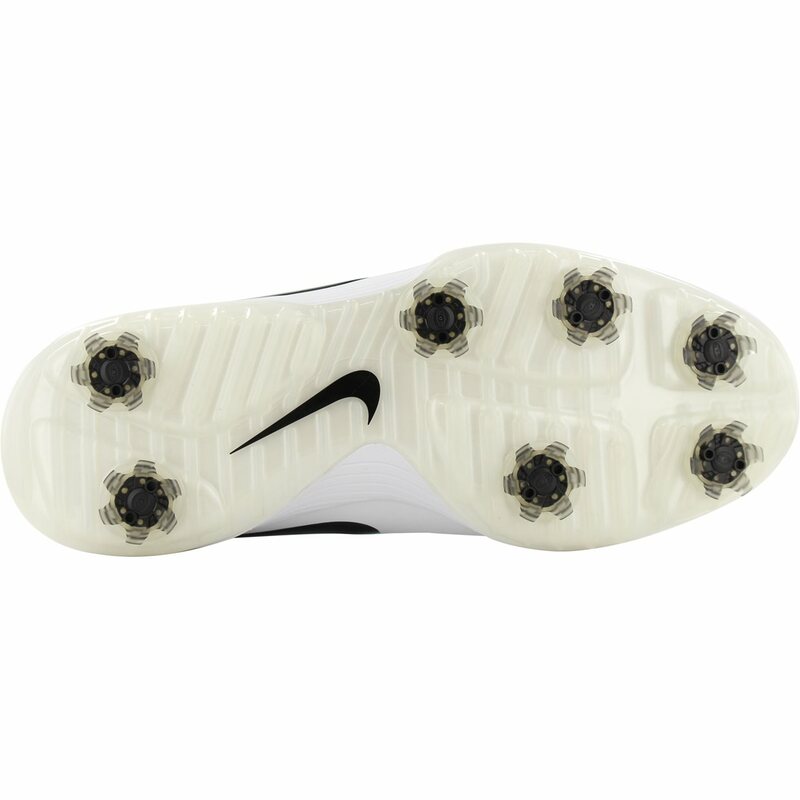 The outsole of the Vapor Pro Boa features Nike articulated integrated traction that is combined with 5 champ PiviX slim-lok spikes to offer superior grip on the golf course.